It is a box that you can hold in the palm of your hand – but the contents will change your life forever. There is no simple way to open it: no hinges, locks, or clasps. To some, its six surfaces gleam like polished gold. To others, it appears dull and tarnished like a forgotten antique. 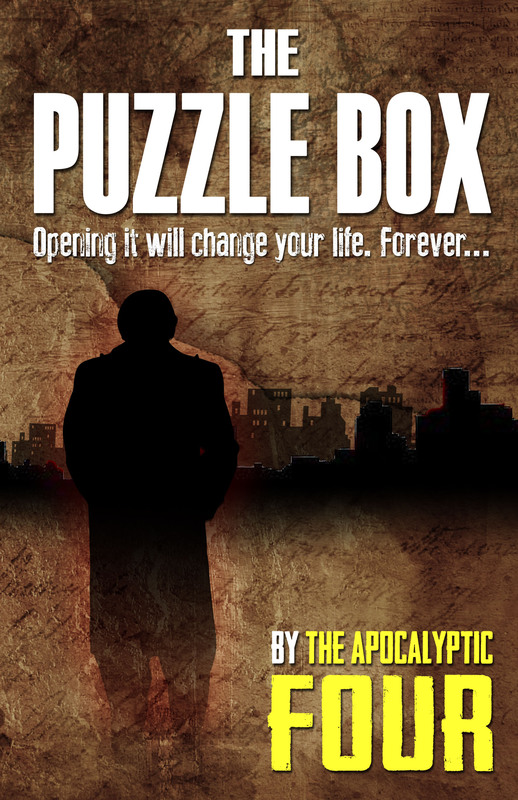 For every person, the solving the box will be different, with life altering consequences. Albert Mallory, a down-on-his-luck archaeologist, begins to discover the true secrets of the Puzzle Box as revealed through four tales belonging to the the previous owners. As each story is told, the mystery of his own life is slowly unraveled until he is left with the biggest question of all: What’s Inside?